Alexis Badel is looking forward to another successful stint in Hong Kong. Picture: HKJC. Hong Kong racing said goodbye to one of its great characters when Olivier Doleuze departed the stage in July but Alexis Badel is preparing to move into the same Sha Tin apartment once occupied by the colourful Frenchman and is aiming to make a similar impact as he starts a new four-month contract. Badel won plenty of friends on and off the track during a 14-winner stint last winter and returns along with British champion Silvestre De Sousa as the HKJC continues to strengthen the riding roster. Eight rides on Sha Tin’s Sunday card (November 4) give the 28-year-old an early chance to show his prowess and the fact that they come from a wide spread of trainers including David Ferraris, Dennis Yip, Chris So, Tony Millard, Richard Gibson, Frankie Lor and old ally Danny Shum gives Badel plenty of cause for optimism. “This year has been fantastic for me in Europe as I won plenty of races including my first Group 1 aboard Nonza in the Prix Jean Romanet at Deauville in August,” he said. 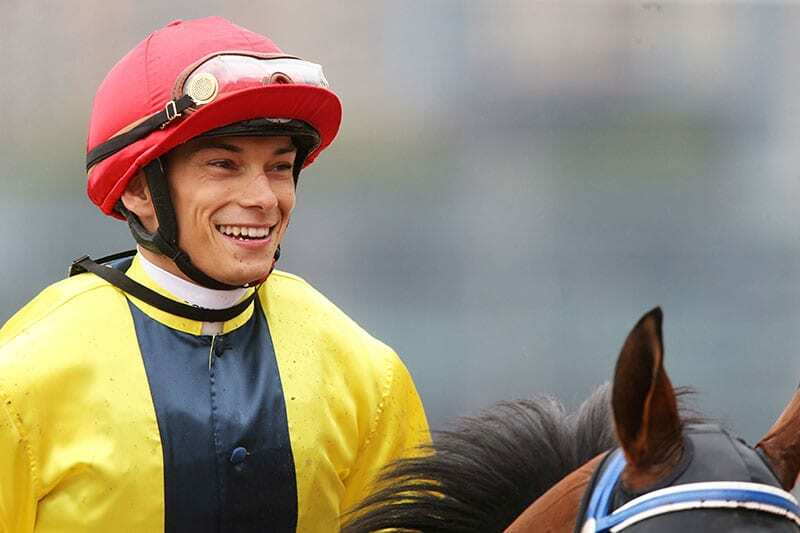 Richard Gibson has booked Badel to partner former Royal Ascot winner Gold Mount in Sunday’s Sa Sa Ladies’ Purse and Badel has taken steps to ensure that the lines of communication have been kept open since his last Hong Kong rides in February. “I’ve talked to everyone I could because it’s easier here once everyone knows you,” he added. And, as someone well used to the hustle and bustle of Paris, Badel has no hesitation in saying that Hong Kong suits his outgoing nature perfectly. “That’s one hundred per cent true,” he added.